Your Feedback on Inside Sales Needed-iPad to be Won! You have an opportunity to help shed light on the inside sales profession! With the tough economy, many companies are taking a closer look at the inside sales role because they are relatively cheaper to employ than their outside sales counterparts. 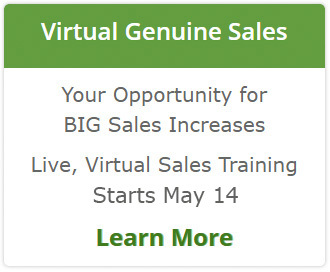 According to 2010 research conducted by InsideSales.com, growth of the insides sales roles was outpacing growth of the outside sales profession by a rate of 15 to 1. While the economy has played a significant role in this shift, other factors such as the evolution of technologies that enable remote selling (e.g. Cloud-based CRM software) are contributing to this changeover as well. But a lot can change in three years. To gauge the 2013 inside sales market, Software Advice–a website that reviews B2B sales technologies–is teaming up with InsideSales.com to distribute a survey to sales professionals. The survey seeks to discover the size of the inside sales market, average compensation rates and performance across key sales metrics. To participate in the survey, and enter into a drawing to win an iPad, start the survey by clicking on the orange box above.